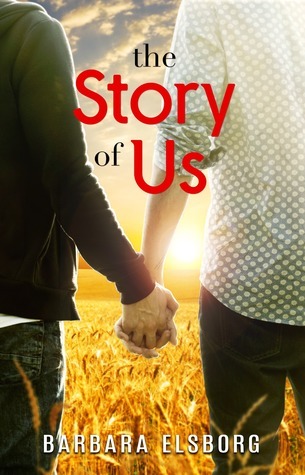 Cover art: Shows two men holding hands while looking out over a field at a sunset. Title is clearly readable while author name gets a little lost in the field background. Despite that a very attractive cover. Synopsis: Tells enough to garner interest while leaving plot points to uncover. Please pay attention to the warnings. Cruelty to children is present and while hard to read at points well worth it. There is also suicide ideation. If either is a trigger this is not the book for you. Plot: Two young teens meet, both have difficulties in their lives and help each other through them. This plot has depth that is unusual for a YA book, but it works well. Main characters: Zed Zadeh is fourteen and excels at music, he is also abused and put down by his father. He’s half English and half Iranian. Caspian Tarleton is fifteen and a rebel which doesn’t set well with his parents. Both boys have their own struggles which adds to the depth of the story. Secondary characters: Zed’s father Majid and brother Tamaz are his only living family. His mother Sara who died from cancer several years ago is spoken of often. His father is the antagonist here. Without reason he is cruel in both actions and words. Caspian has his parents, who are stiff and formal and show disappointment in everything he tries. There is also Lachlan who is a favored son, and also younger twin sisters. The relationship between them and Caspian seems like a common adversarial relationship. There is also Betsy who is a member of the Tarleton household staff. She shows a concern for Caspian. And Jonas and Henry, who are Zed’s friends and support system through their trials. Flow and continuity: Story flowed well and at an even pace. There was no gaps in the story. Conflict and climax: These two boys fought to be together against parents and others who didn’t agree. There is a forced separation where they fight internally as well, the reunion is both heart-breaking and happy. You feel every emotion that they do. Editing and formatting: Formatting was good although there were a few errors. A missed word or two, but nothing really affected the story. Conclusion: This book was heart-breaking at times. What Zed and Caspian went through was, at times hard to read, but you kept reading to see if it got better, and it did in the end. This was an intense book for YA, but if you have the maturity level it’s well worth it. Previous Book Review ~ That Old Magic by Pandora Pine … 9 out of 10! !